Heads up prospective college students, this event is for you. 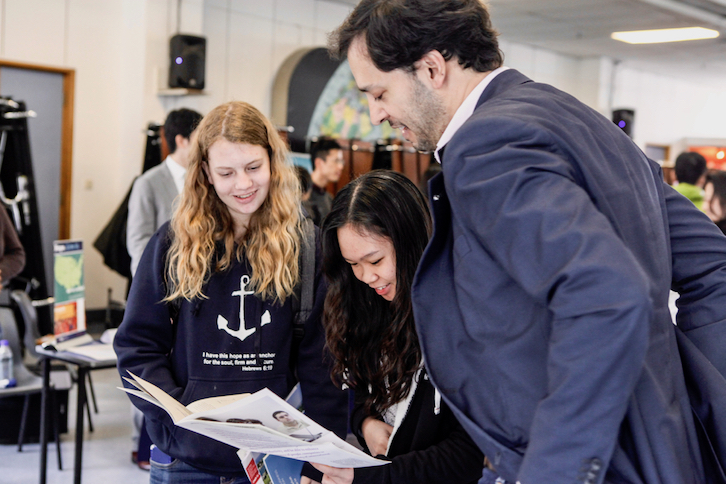 Yew Chung International School has organized a "University Fest", hosting the admissions officers of over 100 universities from across the world. It's a good opportunity to learn about different schools and what it takes to get accepted to them. The event free to join and goes from 11am-2pm on Sunday. Details inside. The college fair features talks given by the admissions officers about multiple topics pertaining to college life and the application process. Other panels will feature alumni from different countries and schools discussing their experience. They've also got NFL Play 60, NFL's youth health and fitness campaign, hosting sports games and presentations about sports at various US Universities. For food, vendors will offer American, European, Mexican, Vietnamese, and other cuisines. Notable universities attending include King's College London, NYU, University College of London, HKUST, Vanderbilt, University of Hong Kong, University of Toronto, University of Sydney, Nagoya University, a ton of American schools, and more. You can find a full list here. University College of London's Recruitment Officer Emma Hallett says students can get the most out of the event by coming prepared with detailed questions. "Identify specific things that are important to you, whether it is for academics, student life, or what life is like in the University host country, and use those as a basis to form questions that you ask each school." Applying to colleges is a tough process. But students at international schools in Shanghai already have a leg up. YCIS University Guidance Counsellor John Liu says, "International students in Shanghai have distinct advantages due to the multilingual, metropolitan culture they learn in and the opportunity to find internships in many different industries, giving them an edge by having actual first-hand experience."